ST. AUGUSTINE, Fla.—St. 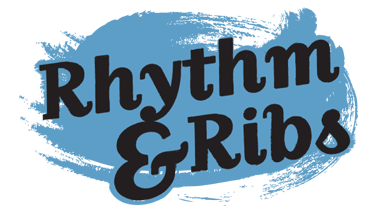 Augustine Sunrise Rotary Club presents the 20th Annual Rhythm & Ribs at Francis Field, on April 10 through 12. The entry gates will be open from 4 p.m. to 10 p.m. on April 10, 11 a.m. to 10:00 p.m. on April 11 and 11 a.m. to 6 p.m. on April 12. Each day is $5 for adults and children under the age of 13 are free. Active military personnel with valid ID will receive free admission. For complete details, please click here. The Steppin’ Stones will be the direct support and Rusted Root will be the headlining act, on April 10. Go Get Gone, Eager Beaver and Amy Alysia & The Soul Operation will be the opening acts, Ivey-West Band will be the direct support and Sister Hazel will be the headlining act on April 11. On April 12—The Rivernecks and The Committee will be the opening acts, Xhale will be the direct support and Billy Buchanan & Free Ave will be the headlining act. Advanced Disposal, Allison and John Chapman, American Crossroads Apparel, Co., Ameris Bank, Anastasia Storage Center, Ancient City Accounting, LLC., Ancient City Pediatrics, Bayfront Westcott House B&B, Bob & Martha Mairs, Burkhardt Sales and Service, Camping World St. Augustine, Canan Law Attorneys, Carter Environmental Services, Clifton Larson Allen, Coldwell Banker Premier Properties, Colonel Warren “Lee” Martin”, Colonial Quarter, Conrad Kubiniec, Craft’s Trophies & Awards, Inc., Craig Funeral Home, Dee Lexandra, Ph.D., Dentistry By Design, Deprey Chiropractic, P.A., Der Pretzel Haus Soft Pretzels, Dunkin’ Donuts, E & E CPA, Flagler Hospital St. Augustine, folioweekly.com, Futch’s Tractor Depot, Herbie Wiles Insurance, Hybrid Design, Ice House America, Ice Plant, iwantabuzz.com, Jacksonville Jaguars, Jeff Schnittker, Lisa Mack Productions, Lovely Loo, Matthews Design Group Civil Engineers, Milt Morris, Mitigation Development Services, Money Pages, Orthopaedic Associates of St. Augustine, Papa John’s Pizza, Reunion Bank of Florida, Ripley’s Believe It Or Not! St. Augustine, Romanza Fesitvale of the Arts, San Sebastian Winery, Signs Now, Southern Horticulture, Southern Realty of St. Augustine and Crescent Beach, St. Augustine Media, St. Augustine Oral & Facial Surgical Center, St. Augustine Social, St. Augustine’s Beach 105.5 FM, Stagecoach R-V Park, Steven M. Schuyler Architect, P.A., Taylor Refrigeration & Air Conditioning, Taylor Rental, The Bailey Group, The Spice & Tea Exchange, Totally St. Augustine, Vilano and VyStar Credit Union are the sponsors of the St. Augustine Sunrise Rotary Club’s 20th Annual Rhythm & Ribs.